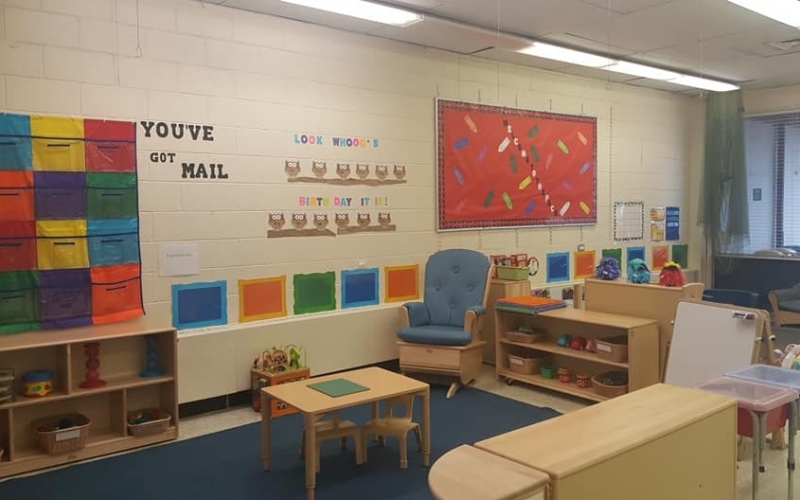 Our Nursery is designed for our youngest learners and is located in Davison Hall. 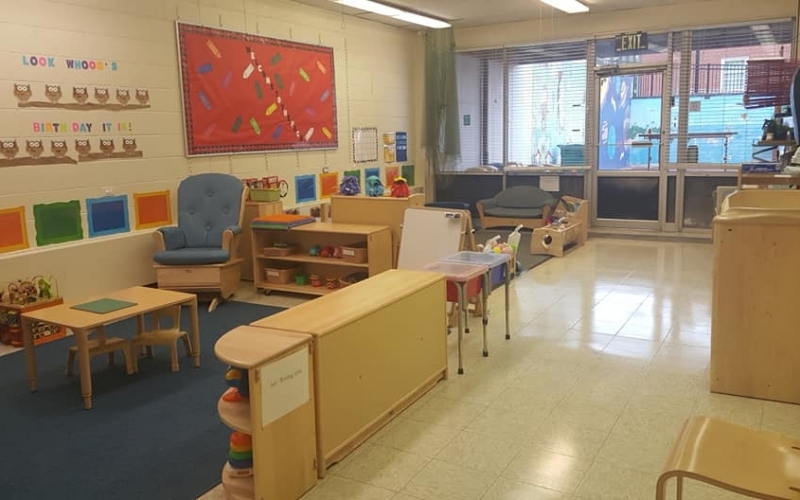 We offer two classrooms in our Nursery: Intermediates (mobile 1 year olds) and Toddlers (2 year olds). Children must be the minimum classroom age by October 1 to be considered for enrollment into any classroom. This is a transitional time in their development as the children move from the complete dependency of infancy to the increasingly independent and mobile world of toddlerhood. Amazing changes unfold during this stage of life as the toddlers become more verbal, begin to assert their independence and start to develop control over their bodies and emotions. 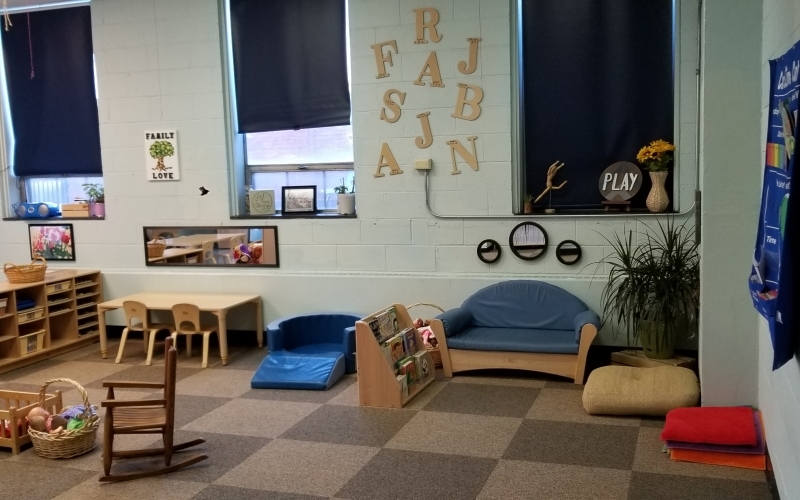 As they practice these developing skills, they need to be in an environment that provides challenging opportunities and activities that allow them to try out their new skills and concepts safely and supportively in a way that is conducive to their developmental success. As in adolescence, the toddlers’ imagination and motivation often exceed their competence and they are often frustrated with being in this in-between stage of life. They experience an emotional tandem between being "babies" and "big kids." Toddlers need caregivers who understand this unique developmental status and who can provide them with the caring and support that they need to navigate the ups and downs of toddlerhood. 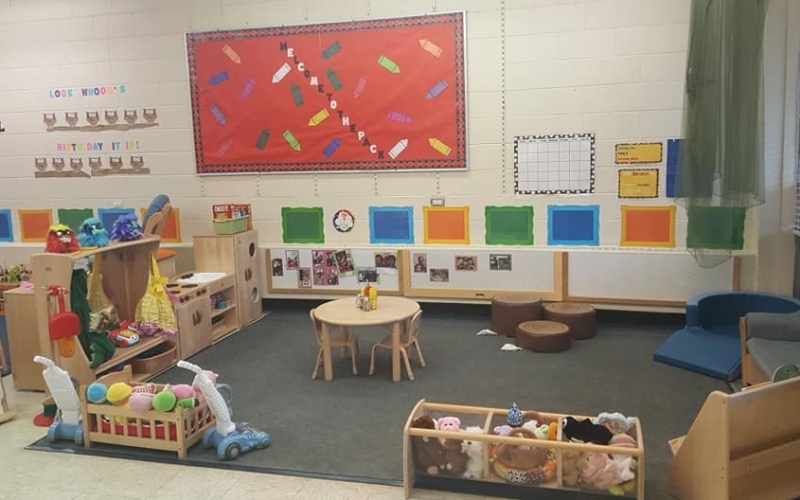 Our Nursery learning environment reflects the understanding that the toddlers’ interests and capabilities vary and change throughout their toddler experience. 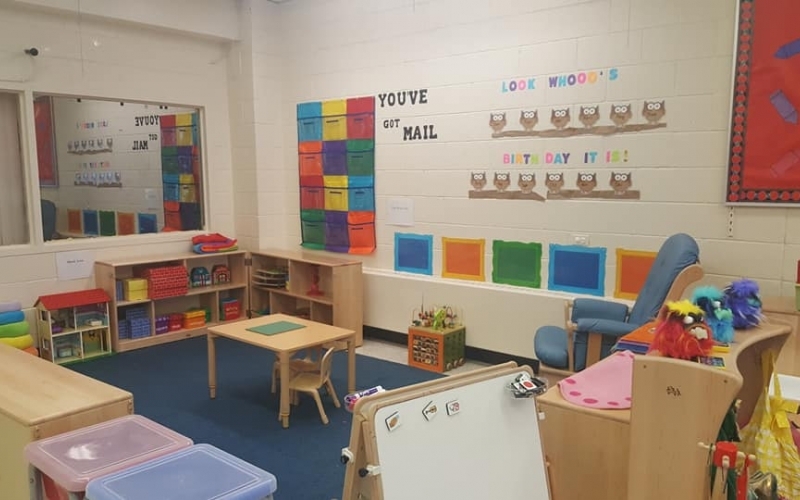 The classrooms feature learning centers in which children may participate in child-initiated and child-directed play as well as small group activities. 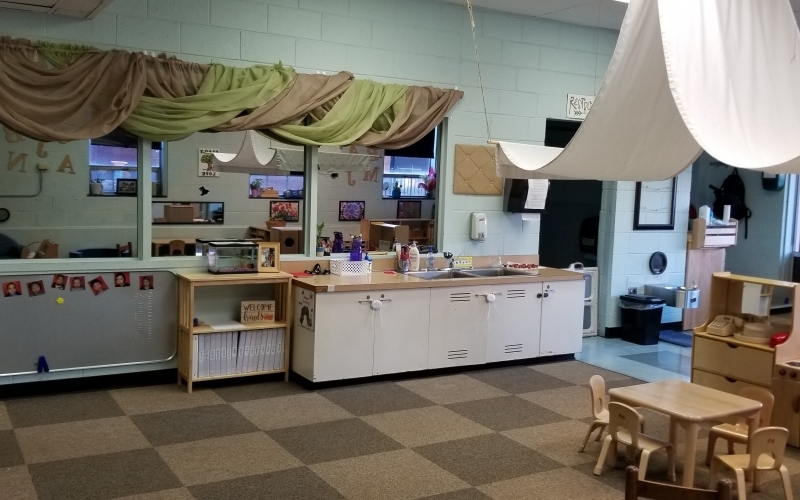 Throughout their day, we have ample staffing, which allows for guided learning experiences and excellent extension opportunities. It is through our incredibly low adult:child ratios that we are able to truly individualize the learning experiences for our children. 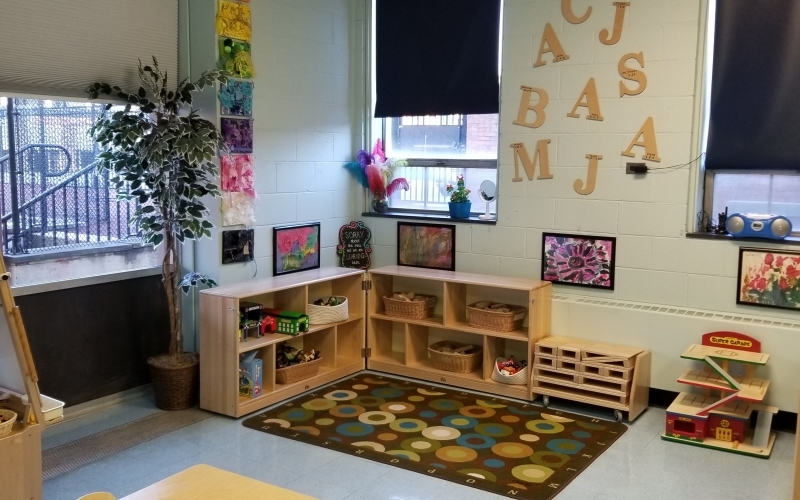 Our curriculum and learning centers are based on the Creative Curriculum for Infants, Toddlers, and Twos which emphasizes the creation of developmentally appropriate activities that encompass the skills and experiences needed for optimum development and personal success. 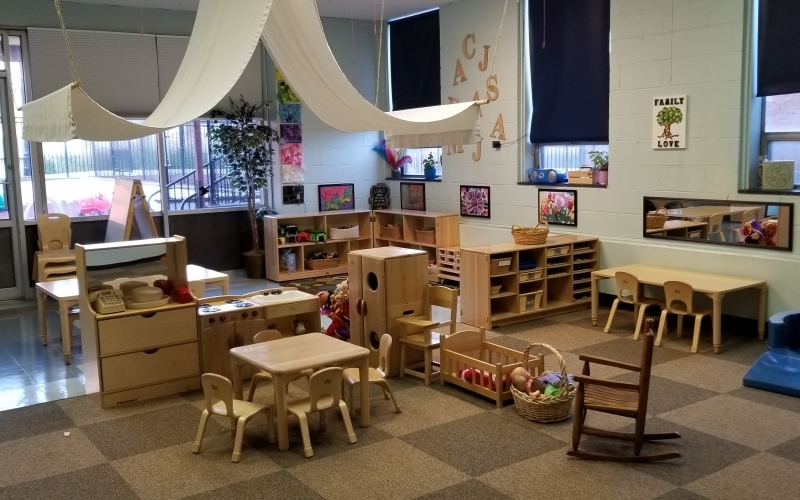 Our highly qualified staff utilizes their expertise and repertoire of child development activities to create a fluid curriculum specifically geared for the children in their care.